Shysters Will Hurley and John Davies have conned yet another parking company by pretending to provide legal services while instead carrying on with their usual shoddy procedures. Their particulars of claim were found to contain no particulars, resulting in the claim being struck out before a hearing. 1. The claim be struck out for want of any Particular in the Claim Form/Particulars of Claim. 2. Because this order was made without a hearing. Any party affected by it may apply within 7 days of service for it to be set aside, varied or stayed. 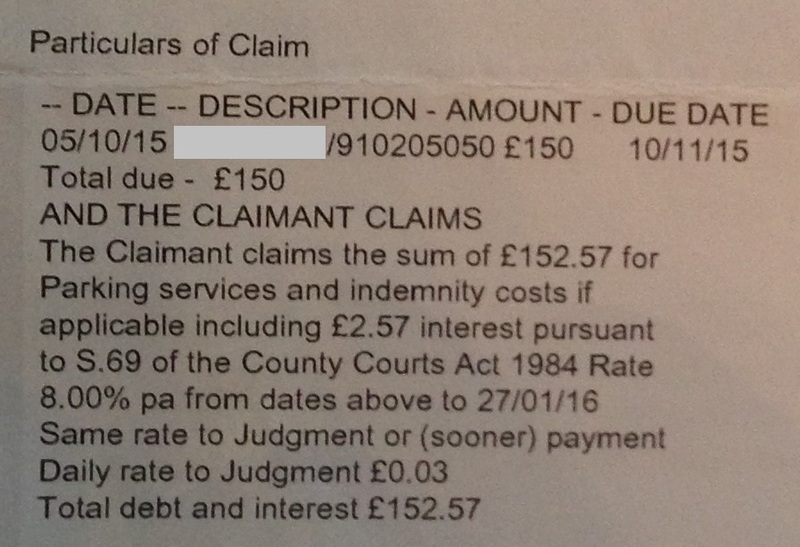 Here is a typical particulars of claim served by Gladstones Solicitors (with number plate details removed). It is clear they fail civil procedure rules and practice directions, and that Will Hurley and John Davies are therefore failing to provide a proper standard of service to their clients by charging them for filing such rubbish. It is a source of mystery why two such incompetent solicitors as Will Hurley and John Davies, who regularly lose parking cases in court, regularly show little or no knowledge on how the courts work and have embarrassingly poor grasp of the legal situations regarding parking cases, are allowed to run a parking related trade association, The International Paring Community. This time Horizon Parking were the losers. It may well be a blessing in disguise losing the case so early, and stopping the flow of cash into Will Hurley and John Davies bank account before Gladstones costs got too excessive. 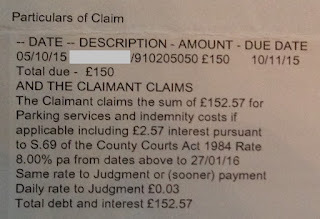 Although they will have had to pay Gladstones an estimated £50 for debt collection and £50 for filing a claim, they will have saved an estimated £100 for Gladstones template witness statement and £200-£300 for a solicitor to turn up in court. Gladstones probably forgot to mention to Horizon that they would lose money even if they won a hearing. Here are the mandatory Solicitor Regulatory Association principles which apply to all solicitors. As Gladstones clearly fail in the first five principles, perhaps it is time for the SRA to take action against them. What a bunch of spivs. They know the claim will be allocaged to small claims and that only unreasonable behaviour will lead to costs. Costs in civil litigation will either be assessed on the standard basis or the indemnity basis (Civil Procedure Rule 44.3); the default position is the standard basis (CPR 44.3(4)). However, a court may order costs on the indemnity basis if the circumstances of the case justify such an order being made. The effect of an order requiring payment of costs on the indemnity basis is to disapply the requirement that, in addition to costs being reasonably incurred, they should also be proportionate to the sums and issues at stake in the litigation and that, in the event of the assessment judge having a doubt as to whether or not an item of cost has been incurred reasonably, the benefit of such doubt should go to the receiving rather than the paying party.